My insomnia felt physical, accompanied by bodily warmth, muscle tension, and a jittery feeling inside. I was anxious about sleep, too, and my thoughts weren’t exactly upbeat. But surely putting the psycho before the physiologic was putting the cart before the horse? Don’t let the terminology put you off the way I did. Psychophysiologic insomnia (I’ll call it PPI) is a problem in which constitutional vulnerabilities, situational factors, habits, and dysfunctional thinking are so intertwined that it’s hard to sort them out. Here’s a brief description and recommendations on how to manage it. Stressful situations lead to more extended bouts of poor sleep. Sooner or later, concern about sleep sets in. This is when insomnia starts to get “serious,” to use Hauri’s word. Looking for ways to reestablish better sleep, people change their habits—trying harder to sleep, going to bed early, taking naps—in ways that actually make sleep worse. The bed and the bedroom come to be associated with not sleep but rather with wakefulness and worry about sleep. Thus begins the vicious cycle where long stretches of wakefulness in bed, accompanied by feelings of tension, begin to condition arousal of the brain, in turn fueling more bodily arousal. 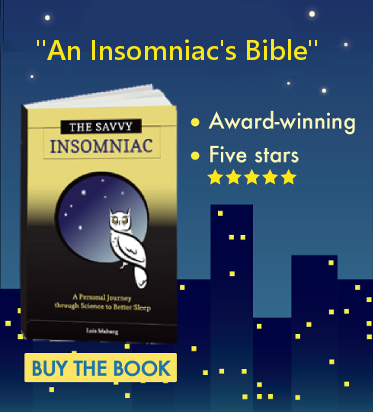 What began as light sleep or an occasional stress-related bout of insomnia has become a chronic affair. Once the PPI train pulls away from the station, it’s hard to get off. For decades I tried every trick in the book—sleeping on the couch, watching nature programs, listening to white noise, scenting my pillows, rhythmic breathing, drinking tea made from Chinese herbs. Nothing worked for long or without cost. The good news is that PPI, unlike some other types of insomnia, responds well to treatment with cognitive behavioral therapy for insomnia (CBT-I). (While the name might suggest that it’s similar to conventional talk therapy, CBT-I is mainly focused on helping people modify habits.) For me, sleep restriction therapy, a treatment offered as part of CBT-I, was especially useful. Sleep restriction led to an awareness that my sleep could be reliable if I timed it right. Equally important, though, for people whose insomnia feels physical (like mine) is finding a way to tamp the physiological arousal down. What works best for me is daily aerobic exercise. Research also suggests that mind-body therapies such as yoga, tai chi, and mindfulness meditation are helpful in this regard. If this sounds like the type of insomnia you’ve got, check into CBT-I and physical training. There’s nothing to lose and much to gain. 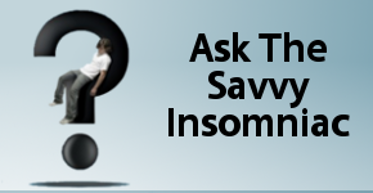 How do you manage your insomnia? Has your strategy worked? * Lee-Chiong T. Sleep Medicine: Essentials and Review. New York: Oxford University Press; 2008: 84.